Lauren Meyers at New Canaan Mounted Troop. Paige Freyre with her two kindergarden students on crazy hair day at East School in New Canaan. Mackie O'Malley at Grace Farms Foundation. Rebecca Serven at the New Canaan Community Foundation. Dariush Amir-Aslani and Austin Hill at New Canaan Bicycles. Dylan Miles teaching his second grade class at East School. Leila Koochek working at the office of Karp Associates. DJ Morse taking samples at the New Canaan Nature Center. Amy Chu at the Carriage Barn Arts Center. Daniel Fairchild and Teddy Holappa at the New Canaan Volunteer Ambulance Corps. Seven years ago, the inaugural year of the Senior Internship Program, there were just twelve New Canaan High School seniors who signed up. Susan Carroll from the College and Career center organized the program, but it was not nearly as big as it is today because students seemed reticent to give up their last month with their peers to head out on an internship. With no precedent for the program or word of mouth referrals from older siblings or peers, it was a rare few who gave up their last weeks in the classroom to dip a toe into the job market. Today there are 269 senior interns, more than 22 times the size it was at inception. 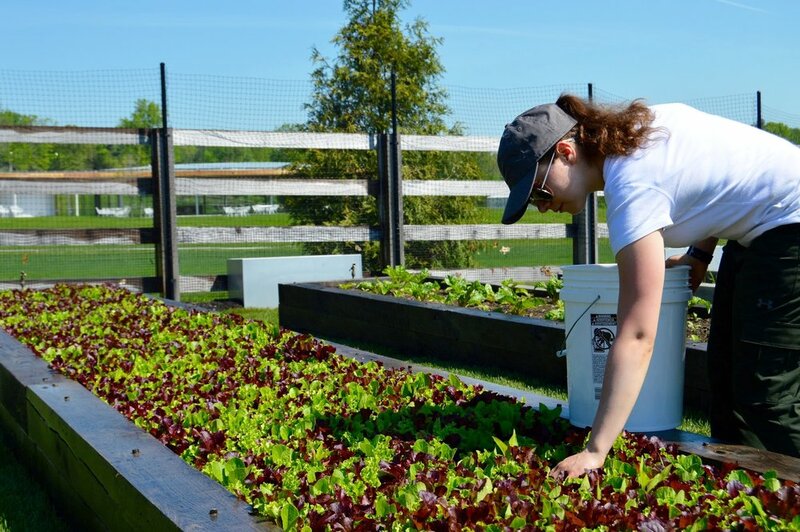 Although Susan Carroll continues to assist with the program, New Canaan High School has hired Heather Bianco specifically to run the senior internship program full time, and as the program has expanded students are now ecstatic to go on internships and gain real world experience. Mrs. Carroll and Mrs. Bianco have assured that the quality of the program will always remain at the highest level, eliminating the possibility of students to use the program as merely an excuse to get out of school. Whether it’s driving an ambulance and assisting on calls for the New Canaan Volunteer Ambulance Corps or helping groom and maintain horses at the New Canaan Mounted Troop, students are getting involved in the community and learning valuable skills. Despite some students not seeing a direct correlation between their internship and what they want to study in college or pursue as a career, there is always the benefit of gaining real world experience. DJ Morse is an intern at the New Canaan Nature Center doing a variety of tasks ranging from aiding eighth graders on their field trip to helping organize their Facebook page. Looking to major in Political Science, something not particularly similar to working at the Nature Center, he’s grateful for the people skills he’s learning, especially how to work well with others. Amy Chu, however, finds that her internship at the Carriage Barn Arts Center and her aspiration to be an independent professional artist have a strong correlation. Currently working on a documentary film, Amy finds that organization and self-sufficiency are two very important skills for managing art galleries and being an artist and she will be taking these skills with her to college. Each student in the program is assigned a mentor at the high school to act as a supervisor for the students during their time at their internship and someone who knows the internship site. Mrs. Lenci has been a mentor for Jane Beiles Photography LLC for the past few years. Watching her interns and the program grow, she’s realized that the internship serves as a good opportunity for students to discover out what they like in a work environment and what they don’t. “All of these experiences are like the pieces of a big puzzle and you can't really tell in the beginning what is going to fit where,” Mrs. Lenci said. Most students are indecisive about what they want to pursue as a career and the internship program gives students a chance to narrow down their search. Tucker Murphy with the New Canaan Chamber of Commerce has been with the program since it started and has witnessed its growth. She sees the program as an opportunity for students to understand how the business world operates. With interns working at environments as varied as Karp Associates, the New Canaan Community Foundation, and East Elementary School, students are getting a broad spectrum of diverse job experiences. The Senior Internship Program is much more than merely swapping out an old pair of jeans and a t-shirt for a creased khakis and a tie; it’s about seniors actually going out into the real world and representing both the community and the high school through hard work and dedication. And as Ms. Murphy advises "Don’t just go out there and do a good job, do an awesome job; Go above and beyond because there are so many opportunities and so many things you’ll get out from it." All photos by Avery Salomon.